Stopping off for 48 hours in Lusaka? 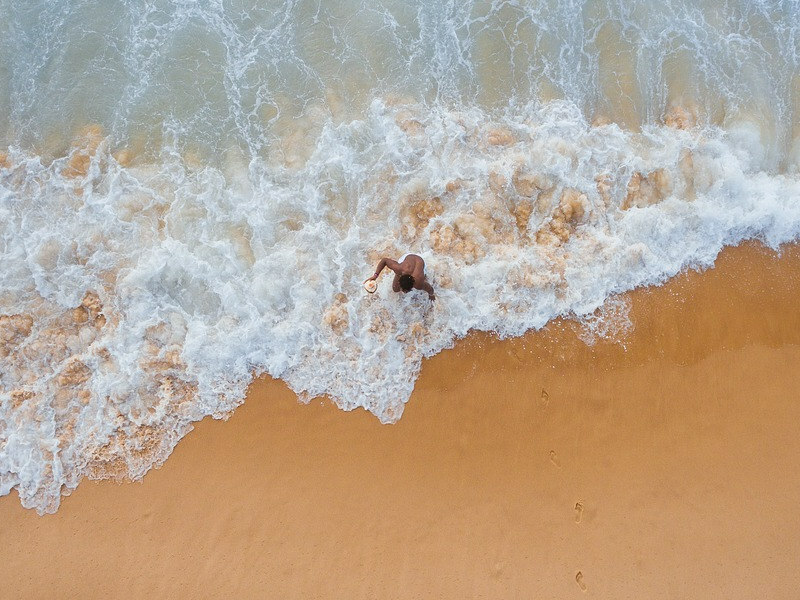 Zambia is a country rich in wildlife, abundant in culture and packed with exciting things to do, but all too often travellers skip over the capital city of this African country to get onto their outlying destination. While you may have read stats about other African cities being the continent’s largest cities, huge infrastructural development in west Africa, the thriving tourism nodes of east and southern Africa, you may not have heard about Lusaka’s own developments. As Zambia’s capital city, it is also the largest in the country. Lusaka is also one of the fastest developing cities in southern Africa. 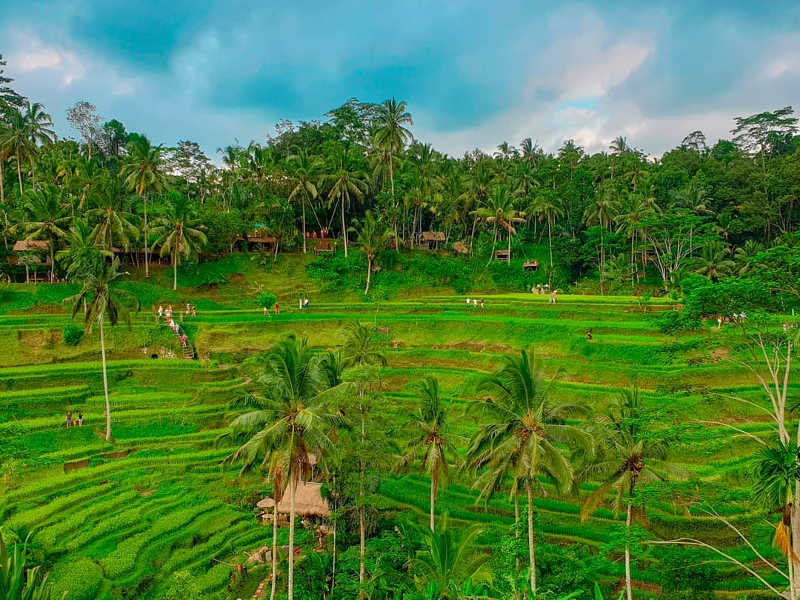 It is a city that plays host to both the countries commercial and governmental hubs and the country’s four major highways leading out towards its borders stem from here. In more recent years, its central position and urban development has lead to an increase in population in both Zambian citizens and through the settlement of expats. This has resulted in a melting pot of culture that has manifested through culture, food, social clubs, hotels and markets. 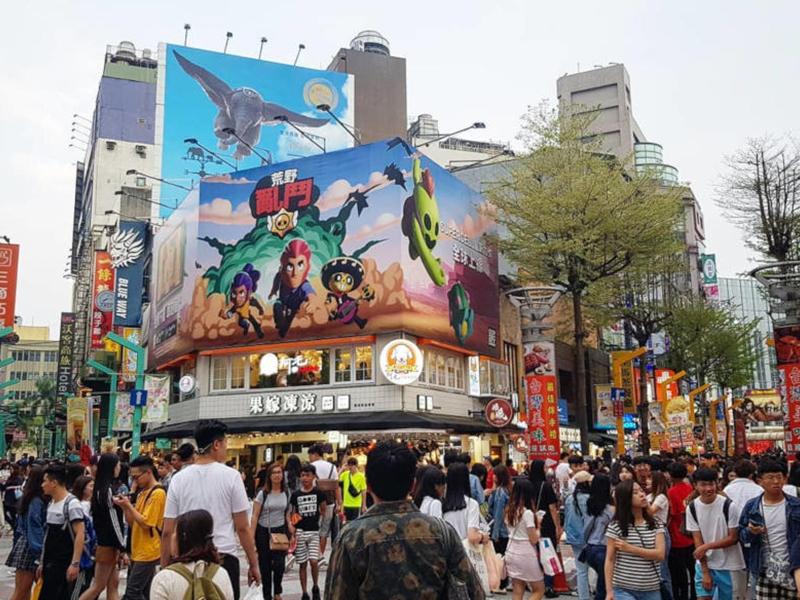 It has been said that any city can be understood better from its markets. Lusaka has a few markets that are purely functional for residents, but also some that are geared towards tourists looking to take home some souvenirs. 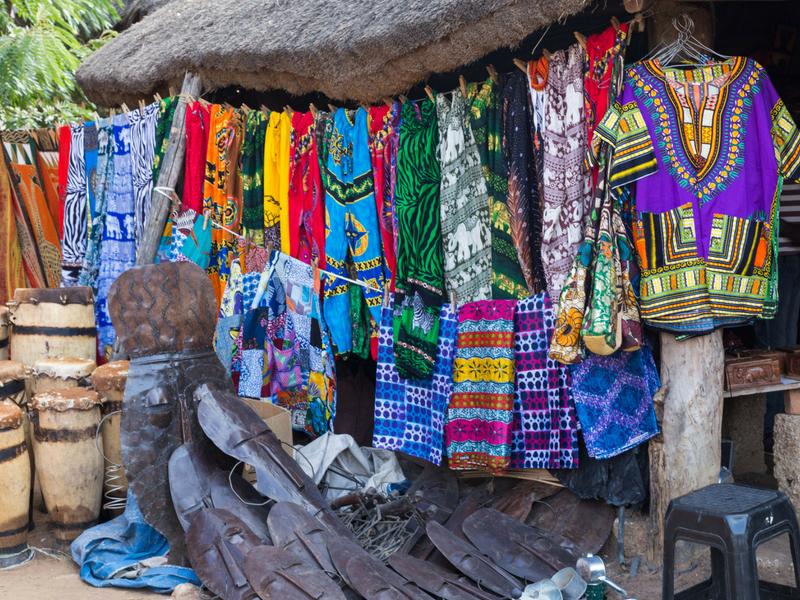 Comesa Market, for instance, is perfect to view and purchase a colourful chitenge, a wrap-around piece of fabric that forms an important part of the Zambian wardrobe. 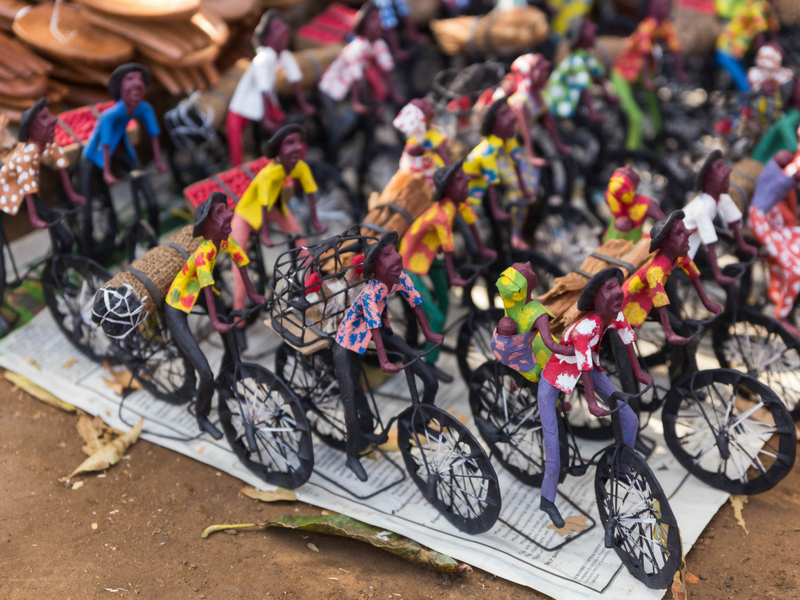 Follow up your visit with a trip to the Kabwata Cultural Village, where artisans display a variety of beautiful crafts that have been made by hand. Here, you can see sculpture, drums, painting and fabric art. Visitors on Saturdays are treated to traditional dance and ceremony. Travel is all about adventure and that counts when trying out new foods! 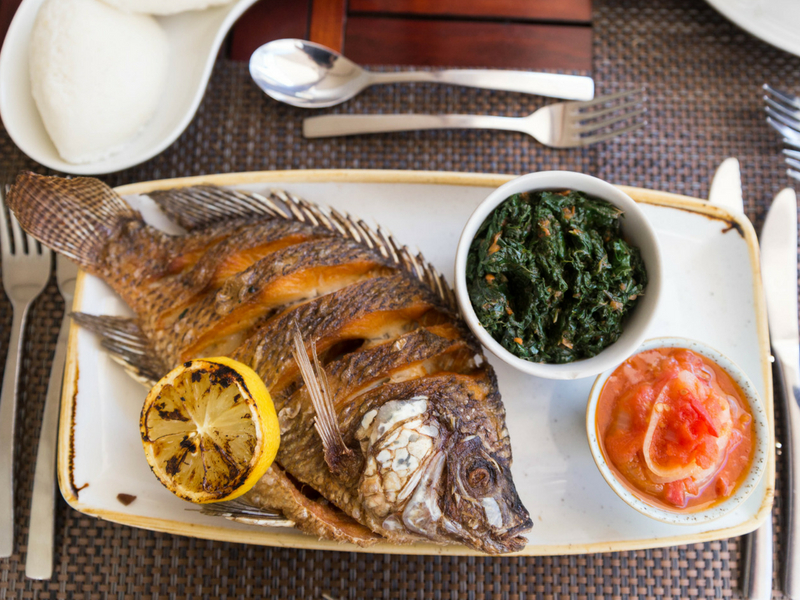 Zambia has a colourful palette of delicious local dishes that simply need to be experienced. Taking inspiration from indigenous plants and fish available, grilled Kafue bream served up with Bowa (wild dried mushroom) and pumpkin leaves in a sticky peanut sauce is a perfect Zambian meal! 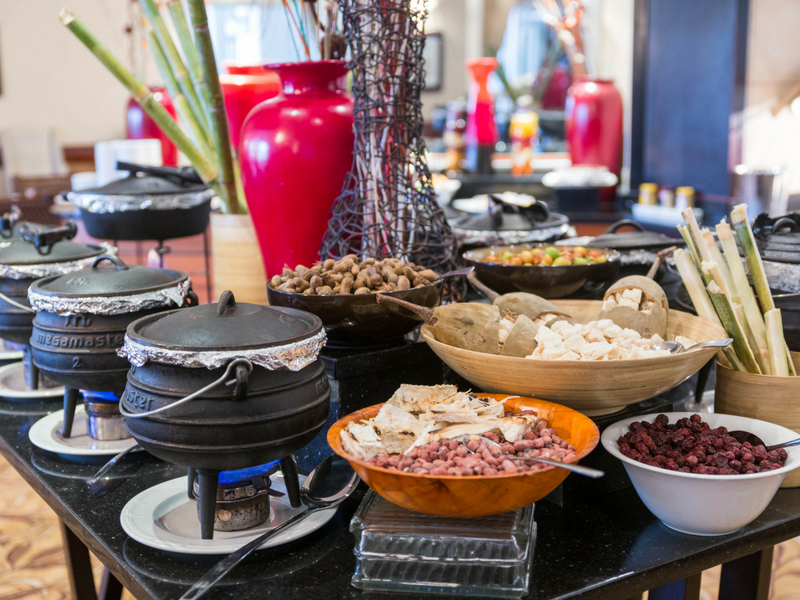 Southern Sun Ridgeway Lusaka hosts a traditional buffet every Wednesday at lunchtime. The chefs work all morning to prepare a host of local dishes including crispy Kapenta fish, cow hooves, kalembula (sweet potato leaves), cassava and the baobab fruit. There is always something different to try! Tigwilizane Restaurant in Kabwata Cultural Village is a more informal spot to try local dishes. It’s airy outdoor setting allows guests to enjoy the warm weather of Lusaka while tasting meat and vegetable dishes that are prepared ‘Zambian style’. In close proximity to city lies the Lusaka National Park. While this is one of Zambia’s smaller parks, and only opened in 2015, it is a great option for visitors to the city that want to spot wildlife living in a natural habitat. The highlight of this park is the rare white rhino. 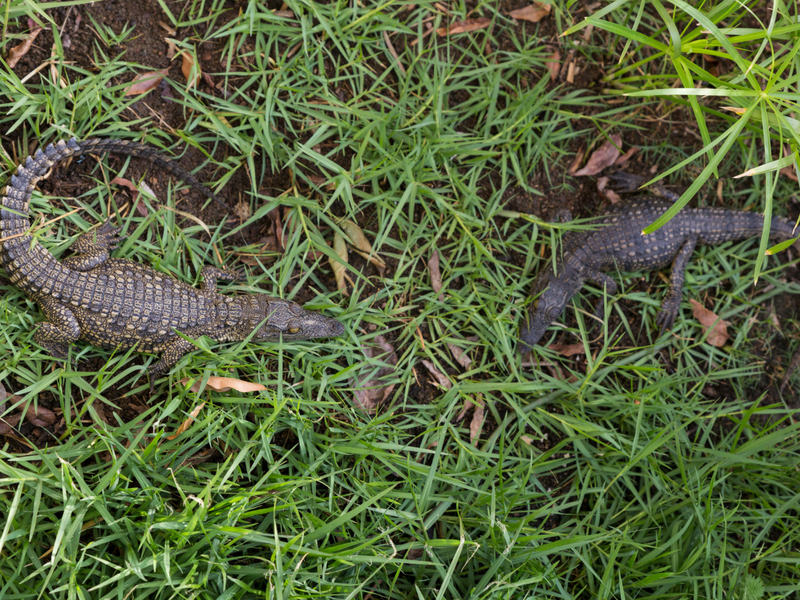 Book a walking trail with the park for a game viewing experience on foot! The Lilayi Elephant Nursery is another highlight of Lusaka. Here, abandoned and orphaned baby elephants are looked after and in time, reintroduced into the wild. Lilayi is one of only two elephants nurseries in the world that aims to conserve these gentle giants and can be likened to its counterpart in Nairobi, the David Sheldrick Wildlife Trust. One of the most astounding architectural sights you could hope to see during your 48 hours in Lusaka has to be the Cathedral of the Holy Cross. 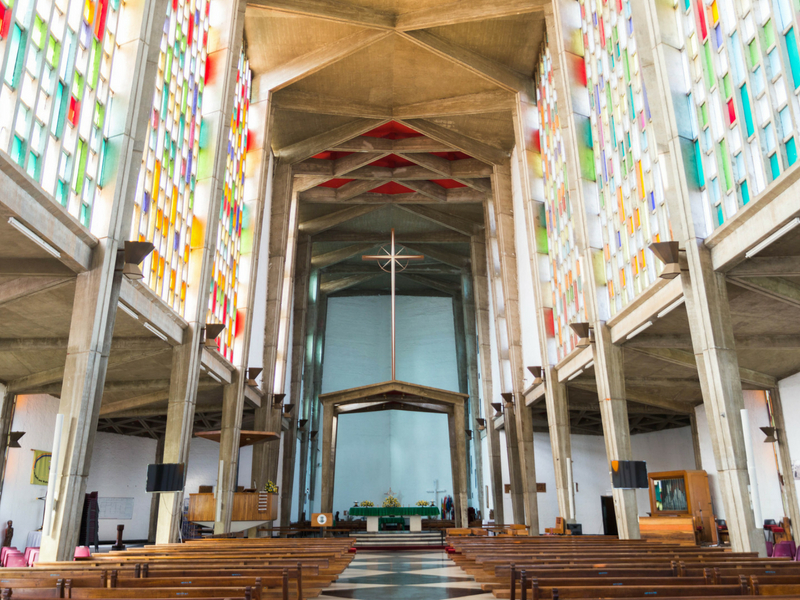 Originally built in 1962 and situated on what is known as Cathedral Hill in Lusaka, this feat of modern-day Lusaka is both peaceful and beautiful. High ceilings are flanked by vivid stained glass windows, while rows of pews stretch themselves down the length of this incredible building. With components donated from all over the world, there is influence from a variety of architectural sources. Zambians are wonderfully proud of their history and love to share the details of the birth of their country through to its transition from northern Rhodesia, to what is today, a thriving Zambia. 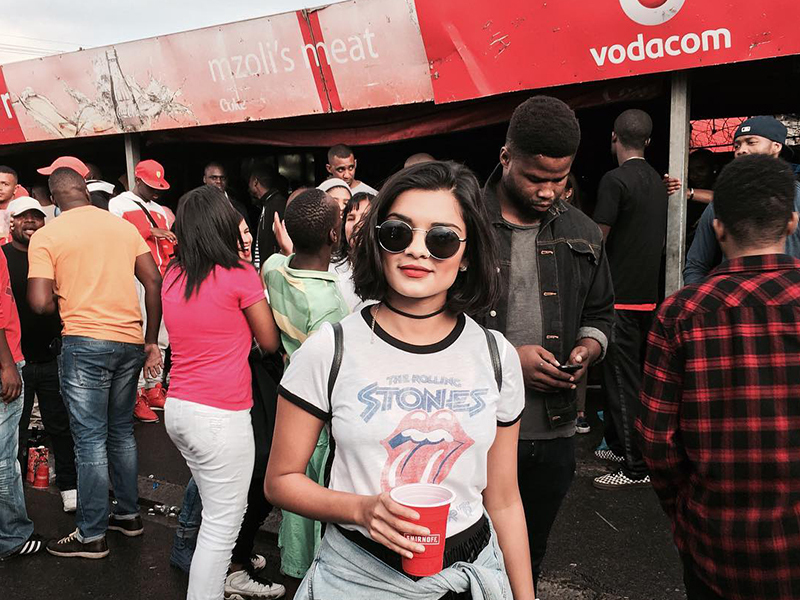 There are various hotspots around the city worth visiting to learn more about this. 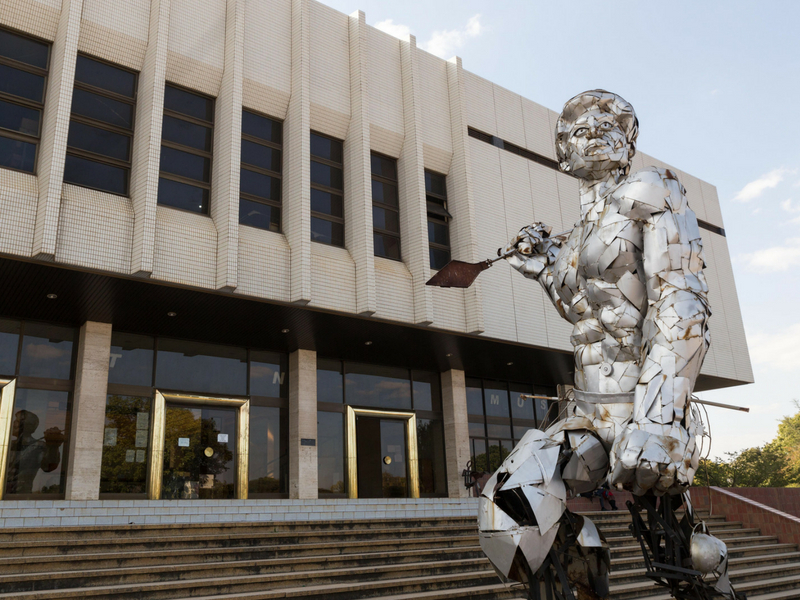 The Lusaka National Museum stands under the watchful guard of the arresting ARM, or Anti-Retroviral Man, statue. 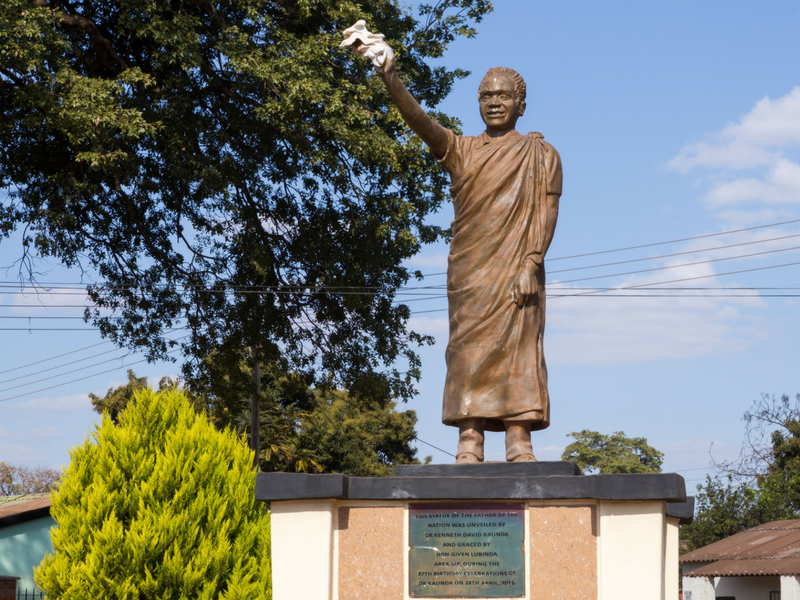 Made from the Hospice beds of deceased HIV patients, the statue was modelled after one of Zambia’s most renowned AIDS activists, the late Winstone Zulu. Visitors to the museum can expect a lesson through Zambia’s significant historical periods across its upper and lower galleries, that range from its own prehistoric past to its contemporary way of life you see today. Travellers spending 48 hours in Lusaka should also stop in at the former residence of the first president of Zambia, Kenneth Kaunda. Known as Chilenje House 394, this residence is now the site of a museum that details Kaunda’s journey of fighting for the independence of Zambia. It is a fascinating view into Zambia’s history and a chance to view what living in Lusaka in the 1960s would have looked like. I will visit the market and national park when I arrive in Lusaka. Thanks for the information given.